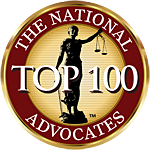 Do you need help seeking an appeal from an unfavorable ruling in a divorce, child support case or other family law related matter? Judges can sometimes make an error that adversely effects the outcome of your case. You may have a solid legal base for an appeal.